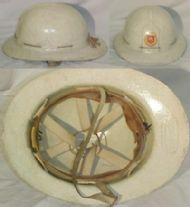 A white fibreglass shell with webbing and leather liner and a fabric like badge on the front. Made by the Pyrene fire equipment company of GB (known mainly for its extinguishers)and used mainly by Works and volunteer fire brigades. 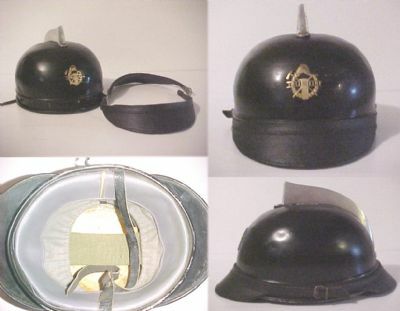 Black painted steel shell with a solid aluminium comb, detachable leather front & back peaks and a brass badge. 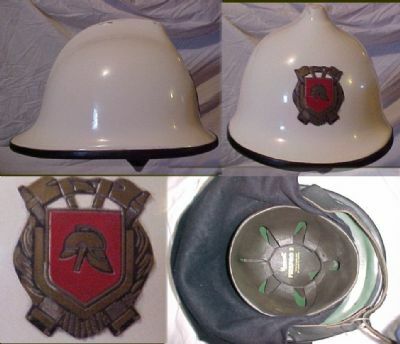 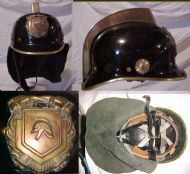 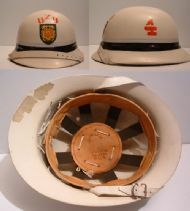 The helmet design is unique and the badge unusual, it was made by the Dutch company Kraaijer. 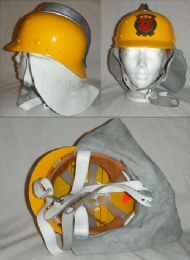 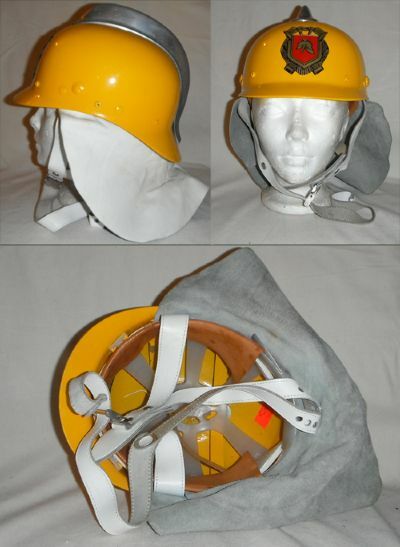 Yellow Kraaijer helmet from the Dutch Railways Fire Brigade. 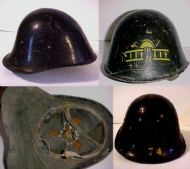 Black painted steel shell with a yellow badge stencilled on the front.